The full ADIFF 2018 programme has finally been revealed and Bill Pullman, Vanessa Redgrave, Paul Schrader, Cillian Murphy, Barry Keoghan, Lance Daly, Nora Twomey, Paddy Considine, Sandy Powell, and Lynne Ramsay will all be coming to Dublin. There will be seven World Premieres and a total of over 100 features screened, nearly all receiving their Irish Premiere. Tickets are released for sale at www.diff.ie from 7 pm today and the Box Office is open at 12 East Essex Street (+353 (0) 1 6877974) from 10 am 25thJan. Some strands of the programme have already been covered in previous posts so let’s concentrate on what’s new. The Opening Gala will be the Irish Premiere of Black 47, the most hotly-anticipated Irish film of the year. Lance Daly directs this gripping thriller set during the Famine. Lance Daly and a selection of the cast including James Frecheville, Barry Keoghan, Moe Dunford, and Stephen Rea will attend. One of Hollywood’s finest, Bill Pullman, attends the festival for the Irish Premiere of his new Western The Ballad of Lefty Brown, a superb addition to his distinguished body of cinematic work stretching back three decades. Amongst cinema’s most distinctive filmmakers, Lynne Ramsay (We Need to Talk About Kevin, Morvern Callar) visits for the Special Presentation of her Cannes prize-winning thriller You Were Never Really Here. Irish-Spanish co-production, Muse, is a seductive supernatural thriller that was both set and shot in Dublin and will screen as a Special Presentation. Irish director Nora Twomey will attend the long-awaited Irish Premiere Special Presentation of her animated drama The Breadwinner, which has been Oscar-nominated in the Best Animated Feature category for 2018. From Kilkenny’s Cartoon Saloon, this is a powerful story of an Afghan girl passing as a boy to work to help her family survive. 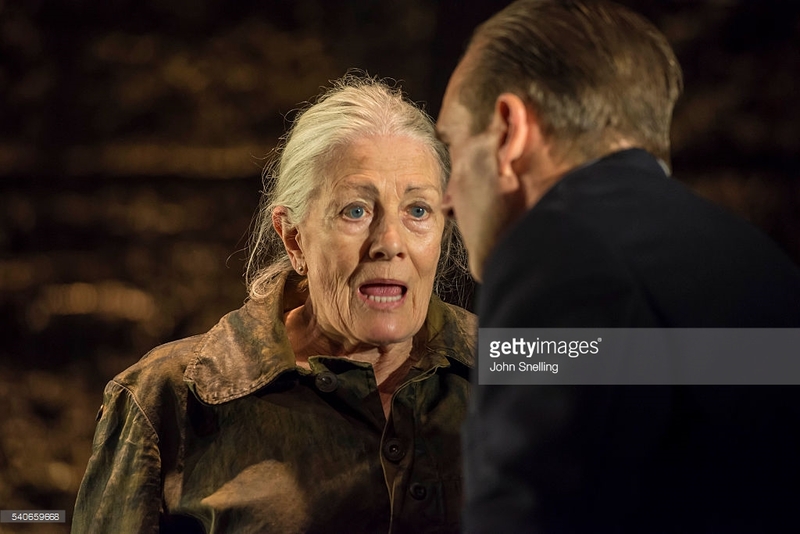 Oscar-winning actress Vanessa Redgrave will receive one of the two 2018 ADIFF Volta Awards, the festival’s most prestigious award, for her lifetime of achievement in cinema at the Irish Premiere of her passionate new documentary on the refugee crisis, Sea Sorrow. Her co-director and son Carlo Nero will also attend. Paul Schrader will also receive a Volta Award and is honoured for his extensive work as a director and screenwriter. Schrader’s acclaimed new film First Reformed starring Ethan Hawke will receive its Gala Irish Premiere at the festival. Schrader will also give an in-depth Public Talk and, as this year’s Guest Curator, will introduce three classic films that have inspired his work. Rounding off the festival with the ultimate in escapist cinema, ADIFF 2018’s Closing Gala is C’est La Vie. This funny, irreverent and charming French film is Olivier Nakache and Éric Toledano’s follow-up to their box-office sensation The Intouchables and will leave festival audiences smiling until 2019. The World Premiere of The Delinquent Season sees one of Ireland’s finest playwrights, Mark O’Rowe, make his debut as film director with a tale of two seemingly successful Dublin couples facing unexpected challenges. The stellar Irish cast includes Cillian Murphy and Eva Birthistle, both of whom will attend the premiere. Stacy Cochran will attend the World Premiere of her new film Write When You Get Work, a witty, knowing tale of success and excess on the Upper East Side, shot by Oscar-winning cinematographer Robert Elswit (There Will Be Blood). Three-time Oscar-winning Costume Designer Sandy Powell will visit for two new films that showcase her talents. She will take part in a Q&A after Todd Hayne’s Wonderstruck and introduce John Cameron Mitchell’s How to Talk to Girls at Parties. One of Ireland’s most provocative and challenging film artists, director Alan Gilsenan attends the World Premiere of his visceral and highly-charged new film, The Meeting. Actor/Director Paddy Considine visits the festival for the screening of his second feature as director Journeyman, a raw, powerful boxing drama in which Considine delivers an unforgettable performance. Canadian director Kathleen Hepburn attends the festival for her intimate portrait of grief and independence Never Steady, Never Still. Director Marc Meyers will attend the screening of My Friend Dahmer, a chilling look at the youth of real-life serial killer Jeffrey Dahmer. ADIFF 2018 is packed with Irish talent, with more homegrown highlights with directors in attendance including Irish Premieres of Aoife McArdle’s incendiary debut, Kissing Candice, and Good Favour, the third feature from Rebecca Daly which sees a religious community give shelter to an enigmatic outsider. Director David Freyne will attend the Irish Premiere of his fiendishly clever take on the zombie film, The Cured. Andrew Quirke’s hilarious Dublin double-act hits the big screen with the World Premiere of Damo & Ivor: The Movie. French actor-turned-director Xavier Legrand will attend his dazzling debut, Custody, about a court decision that tears a family apart. Director/co-writer Yves Hinant and his co-writer Jean Libon will attend the screening of So Help Me God, a documentary following the unconventional and sometimes outrageous Belgian judge Anne Gruwez. Warwick Thornton follows his critically-acclaimed Samson & Delilah with an outback Western, Sweet Country. Director Jean-François Hensgens and armed robber-turned-filmmaker François Troukens attend the festival with their slick heist thriller Tueurs/Above the Law. Matthias Heeder attends the screening of Pre-Crime, a documentary exploring ‘protective policing’, a sci-fi staple that is becoming all too real. John McBratney, retired Senior Counsel will chair a special panel discussion on the Crime and Law strand, which also includes The Ciambra, Racer and the Jailbird, The Line, The Meeting and Have a Nice Day. French-language films include Xavier Beauvois’ The Guardians, Laurent Cantet’s The Workshop, Xavier Giannoli’s Apparition and Coralie Fargaet’s Revenge. The wider international selection includes representation from Japan (The Third Murder), Australia (Sweet Country), Indonesia (Marlina the Murderer in Four Acts), Israel (Foxtrot), Ecuador (Yasuni Man), Germany (Casting, In the Fade),Romania (Ana, Mon Amour), Norway (What Will People Say), Argentina (Zama), and Iran (Israfil). The contemporary cinema of Hong Kong is explored in a five-film season, with the support of the Hong Kong Economic and Trade Office Belgium, that includes a visit from Angie Chen, director of I’ve Got the Blues. The season will also feature intimate war drama Our Time Will Come, the mysterious crime drama Somewhere Beyond the Mist, the offbeat and tranquil coming-of-age drama The White Girl, and dynamic action thriller Paradox. Actress Anna Krotoska will attend the screening of Polish character-driven psychological thriller Tower: A Bright Day. Selected to celebrate the centenary of Polish Independence, there is a rare chance to see Jerzy Kawalerowicz’s 1977 award-winning Death of the President. 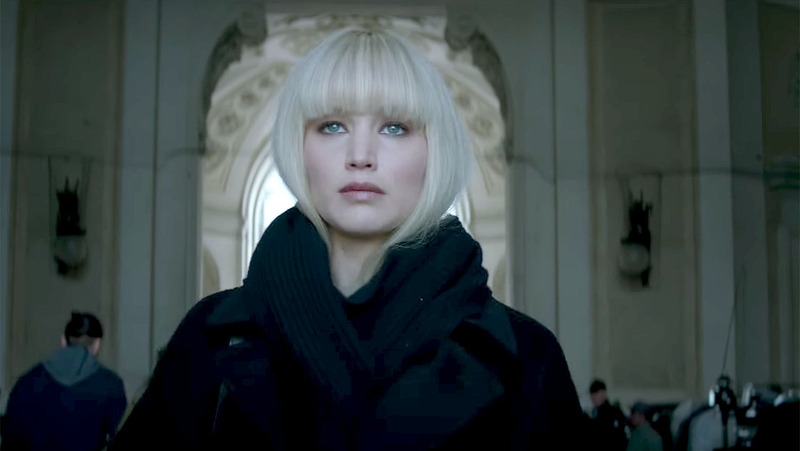 Highlights from across the Atlantic include sneak previews of Jennifer Lawrence in Red Sparrow, Wes Anderson’s new animation Isle of Dogs, and Liam Neeson in Watergate drama Mark Felt: The Man Who Brought Down the White House. British selections include Sebastían Lelio’s Disobedience with Rachel McAdams and Rachel Weisz; Sheila Hancock in Simon Hunter’s Edie; and Emily Mortimer and Bill Nighy in Isabel Coixet’s The Bookshop. Irish rising star Jessie Buckley gives a breakthrough film performance in writer/director Michael Pearce’s dark and delicious new British film Beast. English-language international documentaries include an intimate look at Leon Vitali’s life as Stanley Kubrick’s right hand man in Film-worker, the unexpected treat of a second visit to the Beales of Grey Gardens in That Summer, the swinging sixties narrated by Michael Caine in That Generation, and a magical time capsule of found footage in Bill Morrison’s Dawson City: Frozen Time. 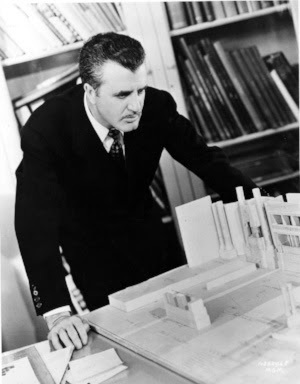 Dublin-born Cedric Gibbons was the most successful art director in the history of cinema, responsible for MGM’s reputation as Hollywood’s number one ‘dream factory’. ADIFF 2018 celebrates his work with the Cedric Gibbons Retrospective featuring The Big Parade, Dinner at Eight, Grand Hotel, and An American in Paris, as well as a one-day conference at NCAD Gallery from 2nd March. An exhibition will run at the NCAD Gallery 2nd-31st March. Film-goers themselves will select their favourite film of the Festival with the AUDI-ence award. The winning film-makers will be flown to the Berlin International Film Festival in 2019 where they will enjoy a true VIP Audi experience. This year’s ADIFF Discovery Award nominees are a testament to the strength of and depth of the new generation of film talent making their mark in a competitive but thriving industry. The nominees are actors Ryan Lincoln (Kissing Candice), Jessie Buckley (Beast), Rory Fleck Byrne (Inbox), Actors/Directors/Writers TJ O’Grady Peyton (Wave) and Liz Quinn (The Date), Director/Cinematographers Rua Meegan & Trevor Whelan (both Bardalo II: A Life of Waste); directors Mia Mullarkey (Mother & Baby), Louise Bagnall (Late Afternoon); and producer Sharon Cronin (Acorn). One of the most popular and revered slots in the programme, the identity of the Just Eat Surprise Film is a tightly-guarded secret known only to the Festival Director but it always rewards the bold and the brave. The festival has expanded its ADIFF Shorts selections to four programmes of the best short films from Ireland and around the world, featuring both established talent and the next generation of film-makers cutting their teeth. The meeting point between audiences, critics, talent and industry that the festival provides extends far beyond the cinema screen in the ADIFF Special Events. This year’s events will include a Writers’ Masterclass with Laurence Coriat and an Audiences Panel with Ben Luxford, Head of UK Audiences at the British Film Institute. After the success of last year’s exhibition capturing Irish talent, ADIFF will present the second exhibition by Hugh O’Conor featuring intimate portraits of his colleagues in the Irish film industry. So, here’s the full ADIFF 2018 schedule, notably lacking any shows in the Savoy; with the Odeon Point and Cineworld 17 stepping into the vacuum left by Savoy 1’s dismemberment – of which more soon. Michael Fassbender and Marion Cotillard are Scotland’s most terrifying power couple in director Justin Kurzel’s impressively realised version of The Scottish Play. Kurzel cuts the comic relief Porter scene. This is not that kind of Macbeth. This is a grimy, gory, brutal production of Shakespeare’s text. Kurzel’s film goes out of its way to make what Shakespeare had made difficult to watch (the slaughter of Lady Macduff and her household) almost unbearable. No Orson Welles castle for Macbeth here, home consists of simple wooden houses, tents, and combinations of both. Rain, mud, and blood are everywhere; men are scarred from battle, women are scarred from losing child after child. It’s a theatrical vision which becomes hallucinatory and cinematic by its fiery finale. This was always going to be an interesting film, but the combination of Fassbender, Cotillard, and Kurzel is probably the finest screen Macbeth yet. 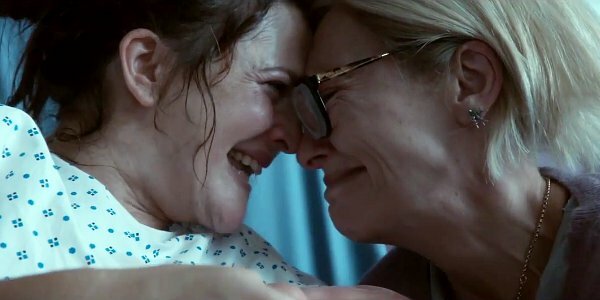 Toni Collette and Drew Barrymore are thirty-something BFFs whose bond is sorely tested when Collette’s reformed wild child loses her way while battling breast cancer. Here’s a teaser of my review for HeadStuff.org. The film opens with a quick gallop through the lives of Milly and Jess, from Jess’ arrival as an American kid to an English school, to hanging out with Milly’s actress mother Miranda (Jacqueline Bisset), to being groupies until an unplanned pregnancy sees Milly marry roadie Kit (Dominic Cooper) and settle down to a PR career while Kit embraces the business side of music. Jess meanwhile works for a Green NGO and lives on a houseboat with Jago (Paddy Considine), a builder and oil-rig worker. And then Milly is informed she has breast cancer. So begins debilitating bouts of chemotherapy and the psyche-destroying hair-loss before the emperor of maladies unleashes the full arsenal of horrors. As Milly’s condition deteriorates it takes a heavy toll not only on her marriage, but also drives a wedge between Jess and Jago as Jago becomes increasingly aggrieved at IVF being put on hold for the sake of Milly; especially as Milly becomes increasingly unbearable. Click here to read the full review on HeadStuff.org with Judd Apatow, Greta Gerwig, and Mia Hansen-Love in the mix. Russell Crowe makes his directorial debut with a timely WWI tale about the formative trauma for the Antipodes of the slaughter of the ANZAC in Turkey. TV writer/producers Andrew Knight and Andrew Anastasios provide the screenplay, which is a step away from their usual crime caper comfort zones, in which Crowe travels to Gallipoli in search of his three missing sons in 1919. He is aided in this likely fool’s errand by Istanbul hotel manager Olga Kurylenko and official Yilmaz Erdogan, while familiar Australian faces like Damon Herriman, Isabel Lucas and Jai Courtney round out the cast. 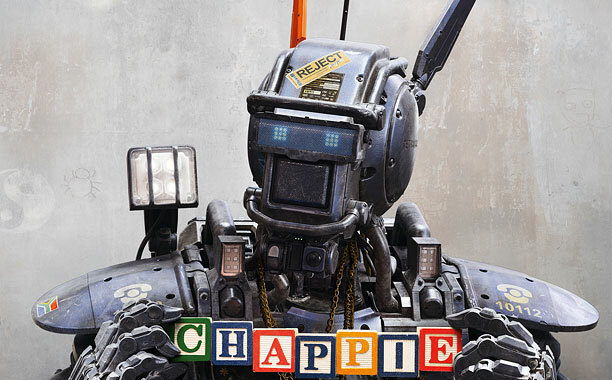 Hugh Jackman and Sigourney Weaver are career criminals who kidnap the titular character and raise him as their own adopted son – but he’s a robot! Yeah… This peculiar feature is definitely a change of pace for writer/director Neill Blomkamp but it’s not clear from his first two features District 9 and Elysium whether he has the chops for a smart sci-fi crime comedy mash-up. District 9 was a gore-fest with a hysterically muddled message about apartheid, while Elysium was an embarrassing, illogical call to arms for Obamacare. Jackman’s been on a bit of a roll though so fingers crossed. March 20th sees Sean Penn attempts a Liam Neeson do-over by teaming up with Taken director Pierre Morel for a tale of a former special forces operative who wants to retire with his lover, only for his military contractor bosses to stomp on his plan; forcing him to go on the run. The lover in question is Italian actress Jasmin Trinca, while the organisation and its enemies have an unusually classy cast: Idris Elba, Javier Bardem, Mark Rylance, and Ray Winstone. Morel will undoubtedly joyously orchestrate mayhem in London and Barcelona, but can he make Penn lighten up? The death of Paul Walker delayed his final film. Following the death of Han, Dom Torreto (Vin Diesel) and his gang (Walker, Jordana Brewster, Ludacris, Michelle Rodriguez, Tyrese Gibson, Dwayne Johnson) seek revenge against Deckard Shaw (Jason Statham as the brother of Fast 6’s villain). Chris Morgan pens his third successive Furious screenplay but, apart from dubious additions like Ronda Rousey and Iggy Azalea to the cast, the main concern is how director James Wan (The Conjuring) will rise to the challenge of replacing Justin Lin. Wan can direct horror but how will he handle Tony Jaa’s chaos? 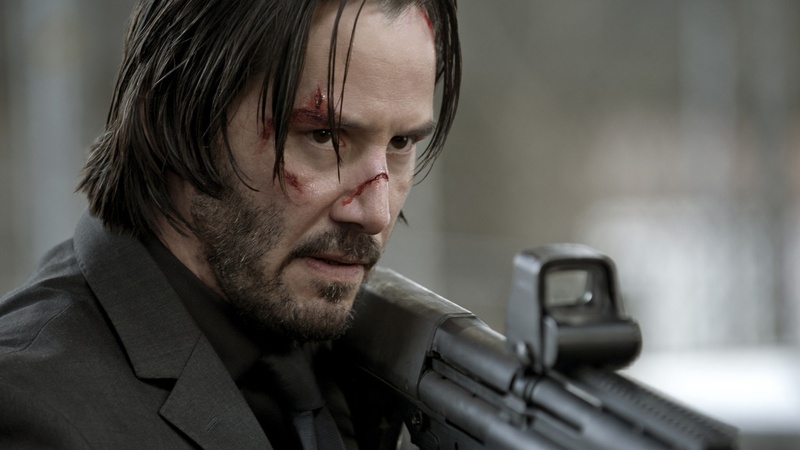 April 10th sees the belated release of Keanu Reeves’ acclaimed low-fi action movie in which his sweater-loving retired hit-man wreaks havoc after his dog is killed; it being his last link to his dead wife for whom he’d quit the underworld. M:I-4 villain Michael Nyqvist is the head of the Russian mob who soon discovers his son Alfie Allen has accidentally unleashed a rampage and a half. Chad Stahelski, Reeves’ stunt double on The Matrix, directs with a welcome emphasis on fight choreography and takes long enough to make the action between Reeves and Adrianne Palicki’s assassin comprehensible. Well here’s an odd one and no mistake. 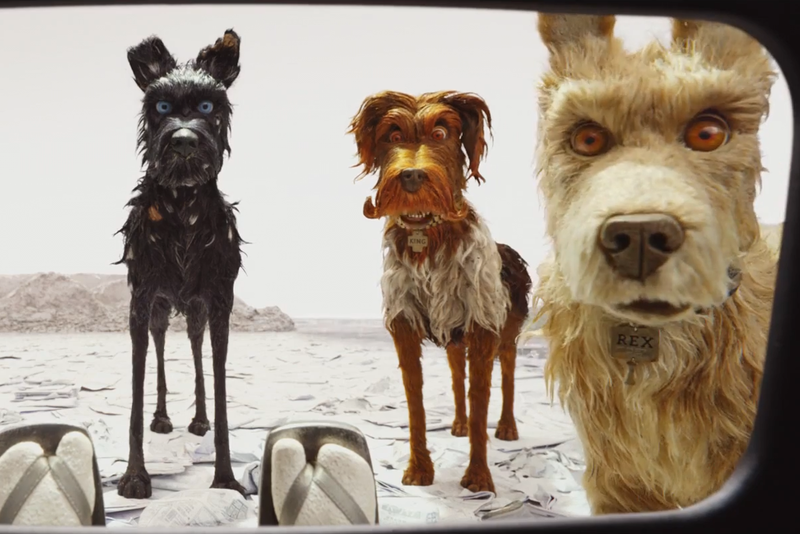 Original director George Miller returns to the franchise after thirty years, co-writing with comics artist Brendan McCarthy and Mad Max actor Nick Lathouris. Max Rockatansky is now played by Tom Hardy channelling his inner Mel Gibson, roaring around the post-apocalyptic Australian Outback with Charlize Theron and Nicholas Hoult. This does look like Mad Max 2, but it’s not a remake; merely an excuse to do Mad Max 2 like sequences of vehicular mayhem but with a huge budget for the mostly practical effects, and some CGI sandstorm silliness. Jurassic World opens its gates in June, boasting an all-new attraction: super-dinosaur Indominus Rex, designed to revive flagging interest in the franchise park. From the trailer it appears that in reviving this franchise new hero Chris Pratt has combined the personae of past stars Jeff Goldblum and Sam Neill. Bryce Dallas Howard meanwhile takes over Richard Attenborough’s presiding over disaster with the best of intentions gig. 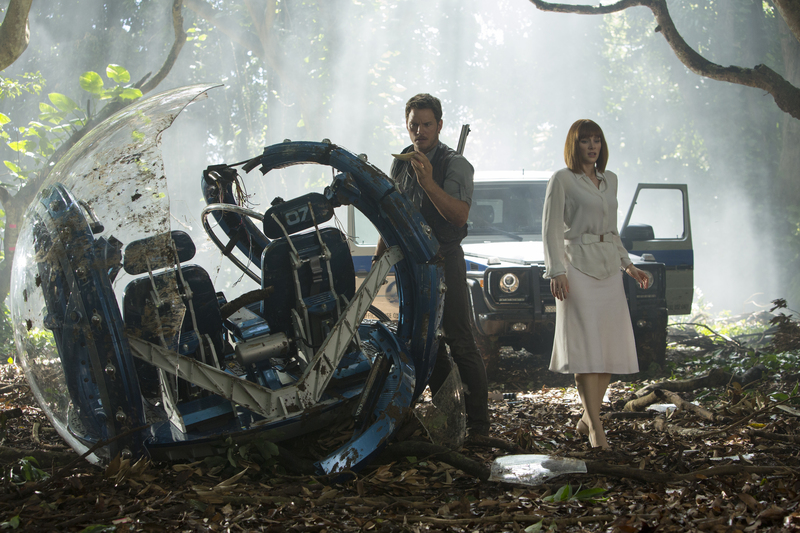 Apparently there will be some animatronic dinosaurs, but the swooping CGI shots of the functioning park emphasise how far blockbuster visuals have come since Spielberg grounded his digital VFX with full-scale models. July sees Tom Cruise return as Ethan Hunt for more quality popcorn as Christopher McQuarrie makes a quantum directorial leap from Jack Reacher. Paula Patton is replaced by Rebecca Ferguson, but Jeremy Renner, Simon Pegg, and Ving Rhames all return, as do Robert Elswit as cinematographer and JJ Abrams as producer. The trademark stunt this time appears to be Tom Cruise hanging onto the side of a flying cargo plane, the villain is possibly Alec Baldwin’s character, and the screenplay is by a curious combo of Iron Man 3’s Drew Pearce and video game writer Will Staples. October 9th sees the release of something of an unusual dream team: Steven Spielberg directs a Coen Brother script with Tom Hanks in the lead. Hanks plays James Donovan, a lawyer recruited by the CIA to work with the Russian and American embassies in London in 1961 after Gary Powers’ U2 spy plane is shot down. The Company hope to secretly negotiate a release for the pilot, and keep all operations at arms’ length from DC to maintain plausible deniability. 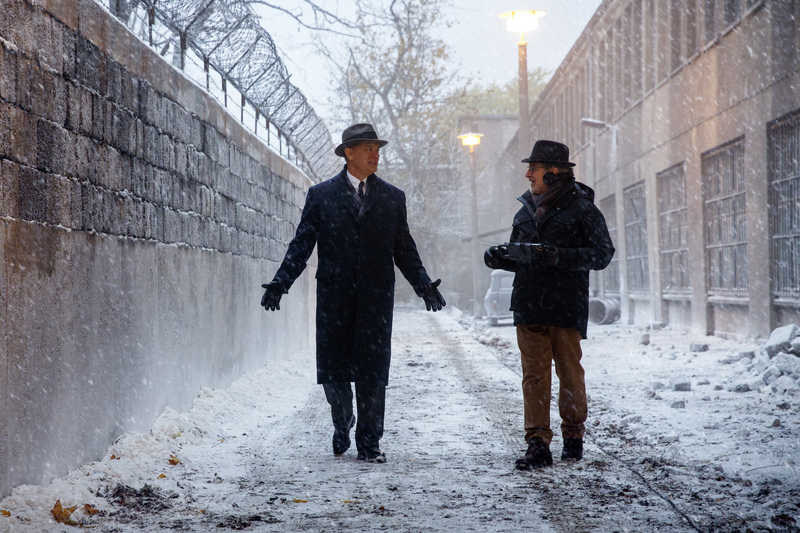 Amy Ryan, Mark Rylance, Alan Alda, and Eve Hewson round out the impressive cast of this drama. October 16th sees Guillermo del Toro reunite with Mimic scribe Matthew Robbins. Their screenplay with Lucinda Coxon (Wild Target) sees young author Edith Cushing (Mia Wasikowska) travel to the titular mansion of a mysterious man, who lives in seclusion in the mountains. Apparently del Toro has outdone himself with the production design of the mansion’s interior. The cast includes Supernatural’s Jim Beaver as Wasikowska’s father (!!! ), Tom Hiddleston, Doug Jones, Charlie Hunnam, and the inevitable Jessica Chastain. But can del Toro, who’s not had it easy lately (The Strain), deliver a romantic ghost story mixed with Gothic horror? The latest Bond film will be released on November 6th. In a hilarious reversal of prestige John Logan’s screenplay was overhauled by perennial rewrite victims and action purveyors Neal Purvis and Robert Wade. Sam Mendes returns to direct as Daniel Craig’s 007 investigates the titular shadowy organisation, which makes a most welcome return after decades of lawsuits. 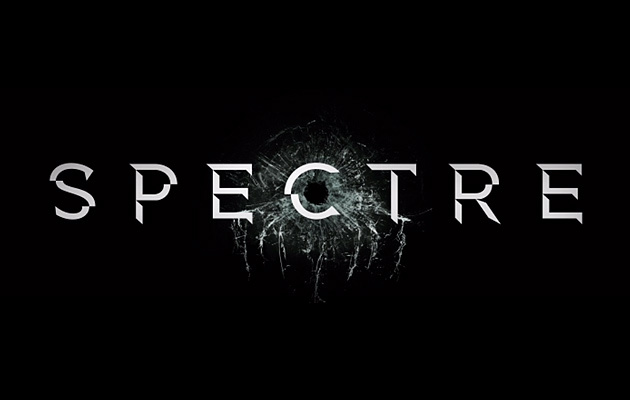 Christoph Waltz may be Blofeld, Daniel Bautista is definitely his henchmen, Lea Seydoux and Monica Belluci are Bond girls, and charmingly Jesper Christensen’s Mr White links Paul Haggis’ Solace and Spectre. And Andrew Scott joins the cast! Perhaps Moriarty’s a Spectre operative. Writer/director Bill Condon has been on quite a losing streak (Breaking Dawn: I & II, The Fifth Estate). So he’s reteamed with his Gods & Monsters star Ian McKellen for another period piece. Adapted by playwright Jeffrey Hatcher (Stage Beauty) from Tideland novelist Mitch Cullin’s work, this finds a 93 year old Holmes living in retirement in Sussex in the 1940s troubled by a failing memory and an unsolved case. Condon reunites with Kinsey’s Laura Linney, and intriguingly has cast Sunshine’s Hiroyuki Sanada, but this will be closer to ‘His Last Bow’ or Michael Chabon’s retired Holmes pastiche? 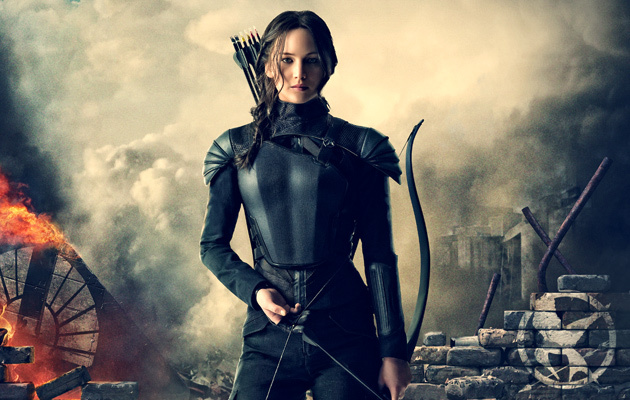 All good things come to an end, and Jennifer Lawrence’s duel with Donald Sutherland’s President Snow reaches its climax in November with what director Francis Lawrence considers the most violent movie of the quadrilogy. Familiar TV faces join the cast, with Game of Thrones’ Gwendolen Christie as Commander Lyme and Prison Break’s Robert Knepper as Antonius, and Philip Seymour Hoffman takes his posthumous bow as Plutarch Heavensbee. The last movie shook up the dynamic of these movies with a propaganda war, so it will be interesting to see how Lawrence stages an all-out rebellion against the Capitol. 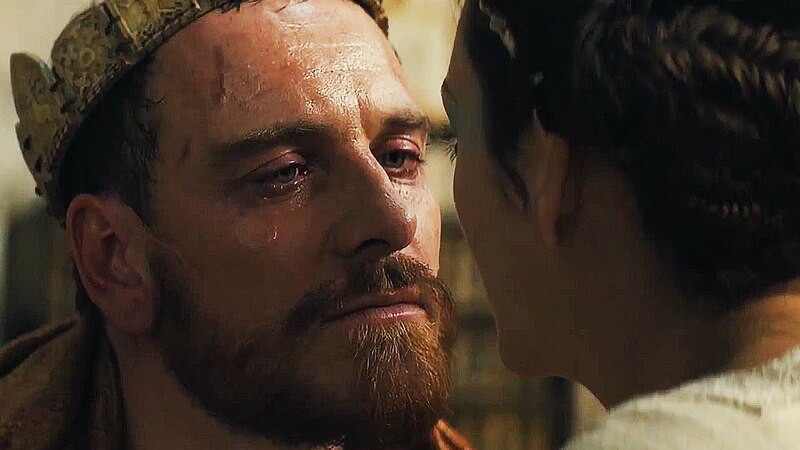 Arriving sometime towards the end of year is Australian director Justin Kurzel’s version of the Scottish play starring Michael Fassbender as Macbeth and Marion Cotillard as Lady Macbeth. That pairing enough is reason to be excited, but we’ll also get Paddy Considine as Banquo, Elizabeth Debicki as Lady Macduff, David Thewlis as Duncan, and Jack Reynor as Malcolm. Not to mention that Kurzel directed The Snowtown Murders and his DP Adam Arkapaw shot True Detective. Hopes must be high therefore that this will be both visually striking and emotionally chilling in its depiction of Macbeth’s descent into bloody madness. 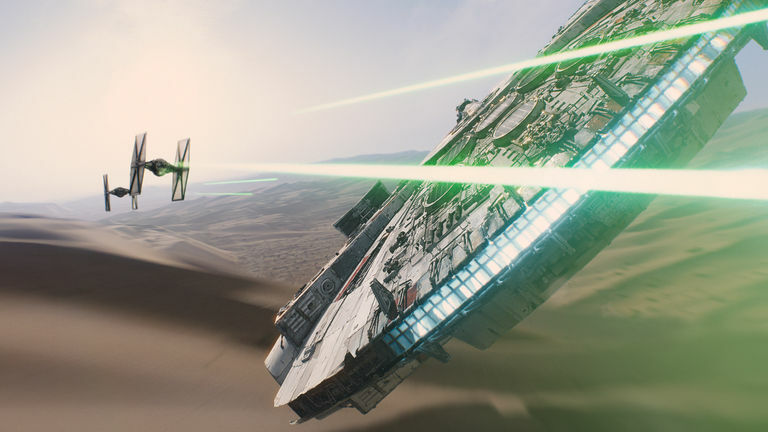 The movie event of 2015 arrives on December 18th. The original heroes (Mark Hamill, Carrie Fisher, Harrison Ford) and their sidekicks (Peter Mayhew, Kenny Baker, Anthony Daniels) will all be making a welcome return after the passionless prequel protagonists. Director JJ Abrams has also cast a number of rising stars (Domhnall Gleeson, Adam Driver, John Boyega, Gwendolen Christie, Lupita Nyong’o, Oscar Isaac) and a total unknown (Daisy Ridley – allegedly the protagonist!) The trailer seemed to indicate that this trilogy might actually be some fun, but Super 8 showed that fan-boys sometimes forget to bring originality.